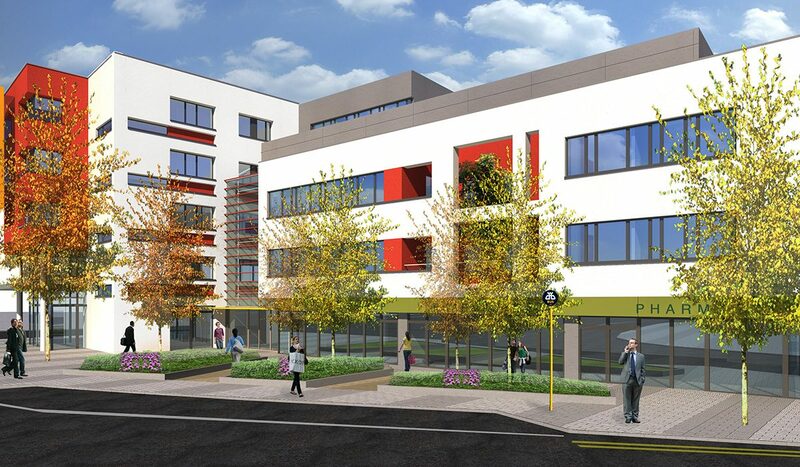 DMOD were retained by Feasible, project managers to design and deliver a Primary Care Centre and Nursing Home, with a combined gross development area of circa 9000m2. in order to maximise the development potential of the site, this necessitated a single level basement car park, which in turn allowed for a more generous approach to public and private open spaces. 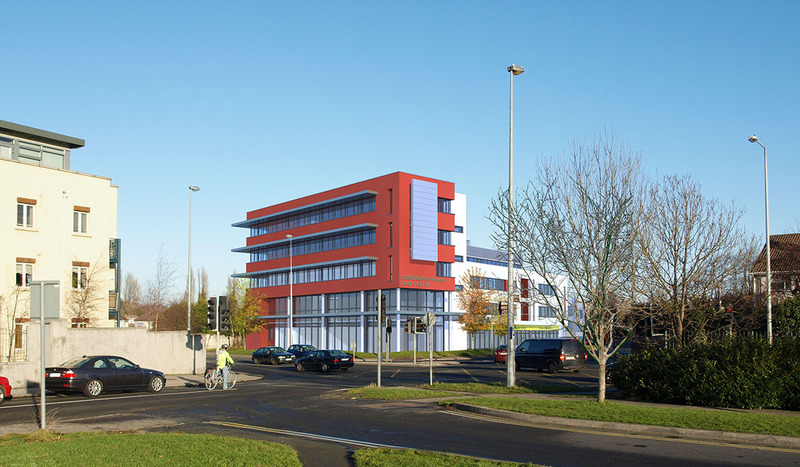 The Primary Care Centre occupied the more visible part of the site, fronting onto the junction of Font Hill Road and Boot Road and was designed as an L-shaped 4/5 storey building with a landscaped amenity space contained by the “L”. The nursing home occupied the other extremity of the site and was predominantly 3 storey around a private courtyard garden space, for use by the residents and staff. 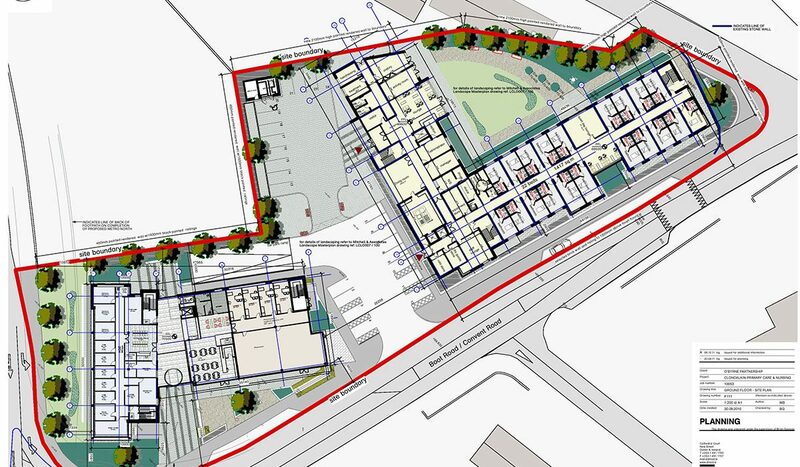 A successful Planning Permission issued, with some conditions to reduce building volume and area, which has been dealt with by way of compliance documentation. The project is currently being reviewed and is expected to progress in 2014.